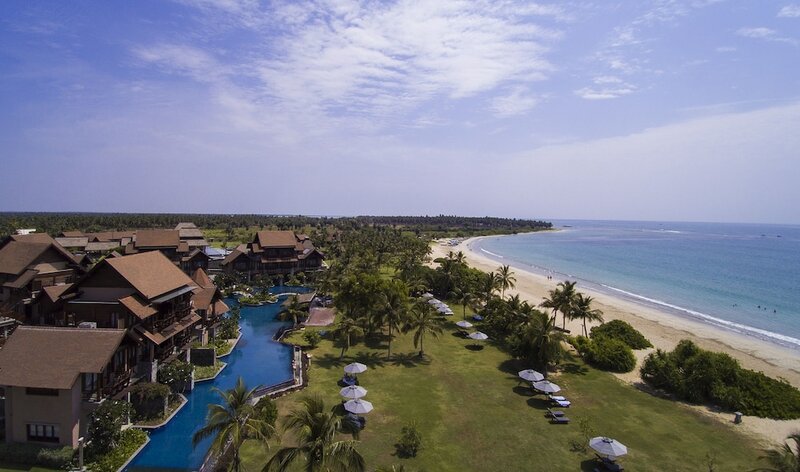 With a stay at Anantaya Resort and Spa Passikudah in Valachchenai, you'll be on the beach and 4 minutes by foot from Pasikuda Beach. This 5-star hotel is 12.3 mi (19.9 km) from Saint Nicholas Church Chenkalady and 13.9 mi (22.3 km) from Batticaloa Lagoon. Make yourself at home in one of the 55 air-conditioned rooms featuring minibars and LED televisions. Rooms have private balconies. Complimentary wireless Internet access keeps you connected, and satellite programming is available for your entertainment. Private bathrooms have deep soaking bathtubs and complimentary toiletries. Pamper yourself with a visit to the spa, which offers massages. If you're looking for recreational opportunities, you'll find an outdoor pool and a fitness center. Additional features at this hotel include complimentary wireless Internet access and concierge services. Grab a bite at one of the hotel's 2 restaurants, or stay in and take advantage of the room service (during limited hours). Relax with your favorite drink at the bar/lounge or the beach bar. Breakfast is available daily for a fee.